XPlan.ca UPDATE October 20117: After 24 years at the same dealer I am now at Donway Ford in Toronto. See you soon! If you have a Costco membership that was in place before August 31st 2011 you as a Ford XPlan customer will receive an additional $1,000 rebate. This rebate can be used with your Ford XPlan incentives from Ford of Canada and can be for in stock vehicles or a factory order. A new $1,500 rebate on the 2009 and 2010 F-150 Crew cabs and Super cabs for XPlan customers is now in effect. This rebate will end September 30th. The new rebate can be used on a factory order as well and is in addition to the delivery allowances that are currently in place. A great truck at a great price! The new incentives from Ford of Canada are out and the following vehicles have 0% financing which is combinable with the Ford X Plan program. The Fusion (excluding the “S” and Hybrid model), select Mustangs, the Ford Edge (excluding the SE), The Ford Flex (exluding the SE). The following Lincolns also have 0% financing up to 60 months. The Lincoln MKZ, MKS and the built in Ontario Lincoln MKX. From what I’m seeing so far the XPlan deals are quite a bit better than the previous Employee pricing and if you are financing they are a lot better. Ford of Canada has announced the extension of the Recycle Your Ride program. Starting October 1st 2010 customers can receive up to $3,300 (the extra $300 is on vehicles 1995 or older) for trading in their old car on a new Ford or Lincoln vehicle. The image below shows the credits for the selected vehicles. An additional $300 will be given by the Canadian Government. Combining this program with the Ford X Plan program is a dream come true for customers who have been holding off trading in their older car. Contact Andy Brooks at 1-877-61X-PLAN for program details and to arrange a vehicle purchase. The Recycle Your Ride program as of October 1st 2010 now has exclusions on some 2011 models. See below. 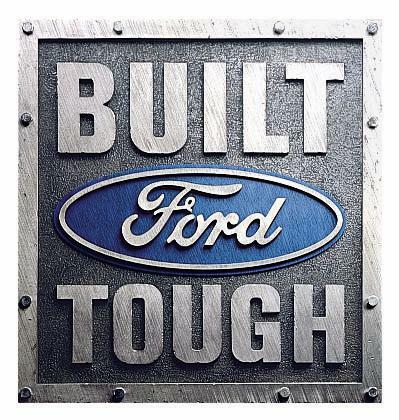 Ford of Canada announced today that the Ford Employee Pricing will continue until Sept 7th 2009. I will post the details of the new incentives here on September 8th. On another note my 17th Escape arrived today. I noticed that the 2010 Escape 4 cylinder XLT front wheel drive now gets 40 mpg on the highway and 30 mpg in the city. I will create a new page and keep track of the mileage per tank on this new Escape like I did on one in 2008.